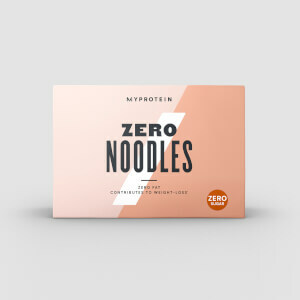 Our Zero Spaghetti is made from glucomannan, that’s perfect for lowering carb intake while letting you enjoy your favourite dishes — without ruining your hard-earned progress in the gym. When to enjoy Zero Spaghetti? It’s great for lunch or dinner — simply add to your carbonara or Bolognese sauce for a deliciously filling meal. What to enjoy Zero Spaghetti with? Zero Spaghetti is perfect for helping to reduce calorie, carb, and fat intake of your favourite meals, and if you want to add delicious sauces that fit into your diet check out our Sugar-Free Sauce — the perfect alternatives, at only 5 calories per serving. Like other shirataki (konjac) noodles, these need to be properly prepared in order to get the desired texture; rinse well before frying in a non-stick pan without oil. When properly prepared, the texture will be less chewy (slimy) and whatever sauce you add will stick to the noodles instead of sliding off. A very good, low-carb alternative to pasta. I sense alot of the negative reviews about these have cooked them incorrectly or just served them incorrectly. They are similar to tofu in that they absorb the flavour of what you cook them with I did a sort of italian stir fry and they turned out really well. I plan on buying alot more and will use them in pasta bakes, spaghetti bolognese, stir fry's and other foods. the critical factor's are below: cook for what it says then rinse with water I did this 3 times to ensure there was no bad after taste like on some of the reviews. Then add to your food while its cooking ensure it has time to absorb the flavour of what your cooking. Job done! I live off of this stuff. It has made my summer cut much easier. I make all sorts of high protein, low carb / fat noodle dishes for lunch. Every day a different combo of noodles, ham, chicken, pulled pork, veg & sauces. I see people complaining that they aren't noodles / pasta / rice - they aren't. 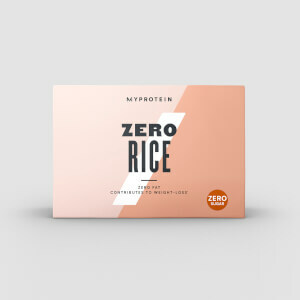 The same way cauliflower rice isn't rice; it's a low kcal alternative. They are what they are. I like & utilise them, allowing me to have the breakfast & dinner of my choice, a super low kcal lunch & easily hit my numbers. Nb 1 they are stored in a fishy smelling liquid, but a quick rinse in hot water before cooking & you are good to go. Nb 2 prefer noodles as they are closer to real noodles. Rice is good too, often I have a tablespoon of real rice & bulk it with this. Penne isn't as good as the others but I still buy time to time for a change. Nb 3 100g is too small, I need to use 2 packets at once. This spaghetti is a good low carb alternative as long as you add it to other foods otherwise it will be tasteless and not very nice. Its actually quite nice added to any kind of pasta sauce. It is more like noodles then spaghetti in my opinion and does have a different texture to regular pasta but it does the job. I wasn't sure what to expect when ordering these but as I probably eat way too much pasta I thought these would be worth a go. 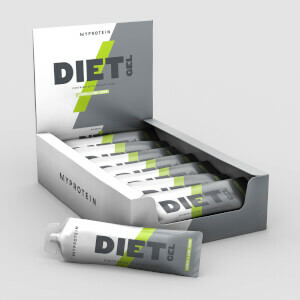 When opening them they don't look appetising at all (more like space food!) but bulk up a bit once cooked. I had them as veggie spag bol and they absorbed the flavour pretty well and weren't rubbery or chewy like I expected! Without much sauce or flavouring though I imagine they could be quite bland. They're also great for portion control as they're pre-packed separately, which is also handy for planning meals/meal preps! I never tried to eat them on their own but once rinsed and warmed and mixed with your main dish or seasoned they are fine! Slightly rubbery texture but works for me! I love pasta and bolognaise sauce but being on a low carb diet I can't eat pasta. Thought I'd give the MyProtein spaghetti a go. It's more like rice noodles that spaghetti pasta especially as it's white not yellow. That said, mix it in with bolognaise meat sauce or the sauce of your choosing and it does the job. You actually feel like you've eaten pasta. The individual portions make it easy to use at home or at work, wherever there's a microwave. This spaghetti is an excellent substitute for the real thing. The texture is like pasta that has been cooked al dente. It doesn't taste of much, so is a great base for pasta sauces. If it were a little cheaper, I'd buy it by the case! Trying to cut down on carbs and I saw these had no carbs,sugar and only 7 calories,so I thought I would give them a try. I have to say they are fantastic, they are very filling so they are great as a snack on their own or as part of a main meal. I will definitely be buying again.